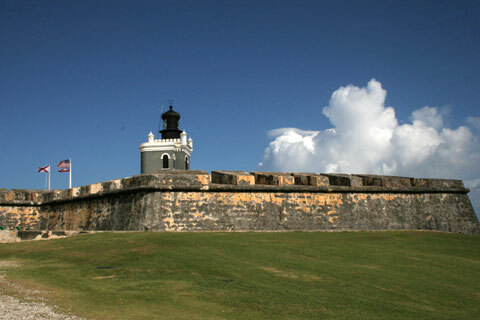 The Caribbean has a rich and extremely varied history. While many people know that Christopher Columbus "discovered" the Caribbean, what most folks don't know is that the Caribbean Islands had a storied history well before Columbus' arrival. In fact, the first people to live on the Caribbean Islands in about 5000 B.C. were tribes of people called the Arawaks and Caribs. While life was initially peaceful, by the time Columbus arrived, the Arawaks and Caribs had been at war for many years. The Arawaks were a skilled tribe known for weaving baskets and trading crops, while the Caribs were known as a more vicious people who pillaged villages for supplies and slaves. Not entirely unskilled themselves, the Caribs were excellent weapons makers known for the gruesome extras they put on their clubs and spears. When they weren't out being violent, the Caribs were engaging in the more peaceful pursuit of pottery, a craft at which they were also quite skilled. While both tribes ate marine life, they routinely ate lizards, snails, turtles, and birds as well. Every day the day's catch would be added to a pepper pot, which was a stew that simmered and cooked for weeks. Today, pepper pots are still a native dish on Grenada. 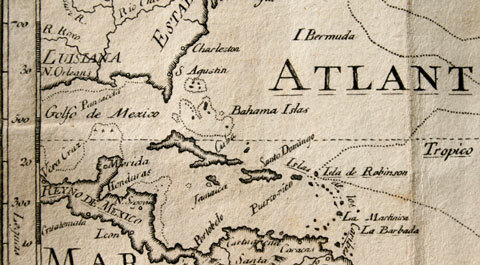 Columbus first came to the Caribbean islands in 1492. While he didn't meet his original goal of finding large sums of gold and spices, he did schedule a second voyage there in 1493. This time he brought builders, farmers, and missionaries to "convert" the natives. However, most of these men were criminals, and soon they were taking advantage of the natives by stealing their crops and women, forcing their men into slavery, and demanding taxes. A war broke out, and by the end of three years most of the natives were dead. The new guard built a capital in Santo Domingo, complete with protective forts. Columbus ended up making a total of four trips to the Caribbean, and while he never found the gold and spices that he so desired to find, a whole new world had been discovered. In the years after Columbus discovered the Caribbean, thousands of Spanish settlers arrived, eager to claim and work their own land. British and French seafarers soon followed, each of them laying claim to specific Caribbean Islands. Today, those influences can still be felt in the food, culture, language, and currency of specific islands. Because of the various nationalities vying for Caribbean islands, there was bound to be tension throughout the years. The first issues occurred, of course, between Europeans and the natives. But when the Dutch established a slavery monopoly during its war with Spain and Portugal, Britain stepped in and attacked Dutch strongholds. This, in turn, caused conflicts between the colonial empires. As France, Spain, Holland, and Britain all tried to strengthen their ranks, the islands switched hands many times. By the end of the 17th century, the Caribbean Islands, for the most part, were divided between France and Britain. Both countries took advantage of the region's sugar industry, and also used native slaves to work the sugar cane fields. For the next 100 years, the Europeans continued to trade in raw sugar while keeping the slaves at bay. During this era, several struggles and small wars ensued, during which the islands continued to be shuffled from country to country. By 1763, at the conclusion of the Seven Year War between Britain and France, five of the ten most profitable sugar islands were owned by Britain. By the end of the 18th century, many of the sugar plantations had been overused, and with the onset of the Revolutionary War in North America, the West Indies were in a state of social and economic change. An uprising resulted, with many plantations set on fire and many residents killed. 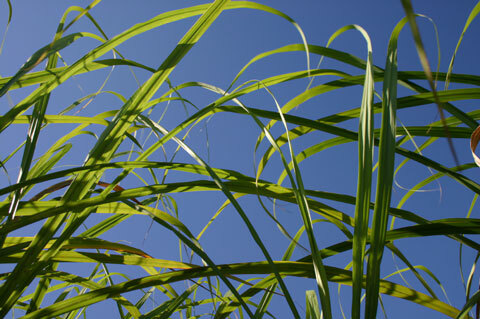 When trade restrictions were lifted in the 18th century, Cuba's sugar industry began to flourish. Because of this development, slavery wasn't abolished until 1886. More civil wars during the late 19th century were the result of uprisings against Spanish rules and taxes. In 1917, Denmark sold its Virgin Islands to the United States, who were then able to fund successful sugar, banana, and coffee industries. But just like America, the Caribbean suffered badly during the depression of the 1930s. Labor movements, riots, and strikes ensued, followed by a failed attempt to form a British Caribbean island federation. During the 1960s, both Jamaica and Trinidad achieved their independence, followed by most of the other British islands. Today, while many Caribbean islands are still struggling, others have built their economies through tourism.